Among other things, our MOG-Host Platform app will use artificial intelligence to learn over time what our tenants in our buildings need and want, thus improving their experiences in our building. Mr. Kambiz Merabi said in a statement. We are all about amenities therefore this program and its tools will deliver personalized experiences to our tenants. The MOG-Host’s focus will be on creating a comfortable and more helpful workplace atmosphere while delivering all tenant’s employee-facing services, such as reception, IT support, full service business center, meetings and events. “Mr. Kambiz Merabi said in a statement on January 21, 2019. 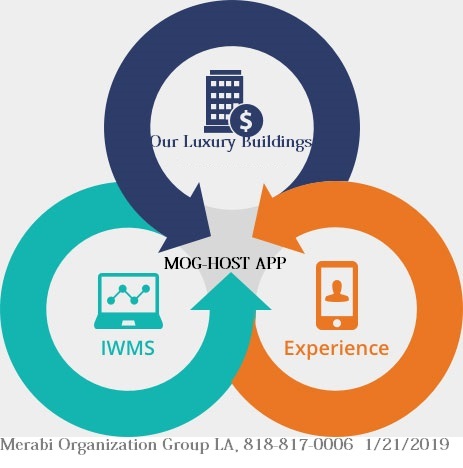 Our new improved MOG-Host app can speak with tenants, send news and announcements to the all the tenants, customize amenities and services for them. MOG-Host also provide a way for offices to keep up with changing tenant preferences, will offer an app to create a better workplace experience. This Article/s Published on Friday 21st, 2019 LA, has been Updated & posted at 6:44 AM PCT, February 2nd, 2019.